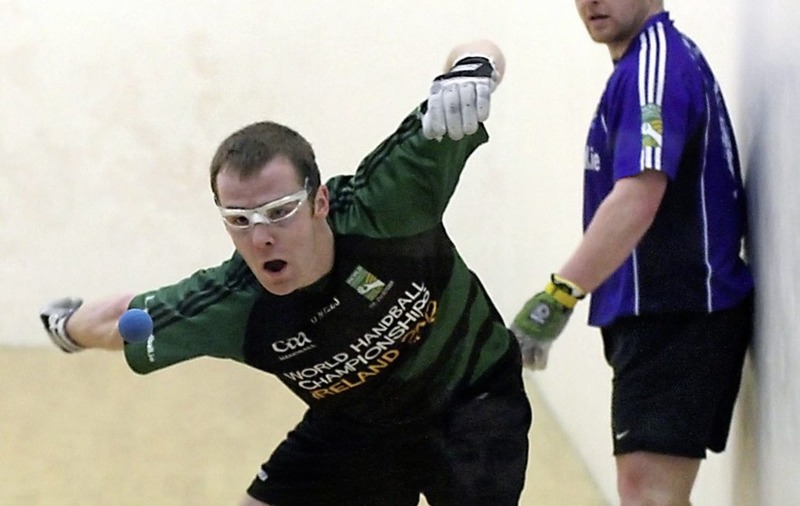 DEFENDING champions Tom Sheridan and Brian Carroll have shown utter determination to hold on to their MyClubShop men's All-Ireland Senior Doubles Championship title. But last year's beaten finalists Eoin Kennedy and Carl Browne have issued a stern warning that they are just as determined to win back the honours. Meath men Sheridan and Carroll stormed past Tyrone challengers Barry Devlin and Conor McElduff, allowing the losers just three aces in the two games. 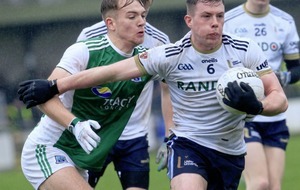 Scores of 21-0 and 21-3 proved that the holders were taking no chances against their opponents, who had been given a walkover by Limerick duo JP O'Connor and Michael O'Toole in a preliminary round match. Not the best preparation to face the reigning champions. “It was pretty easy against the Tyrone boys, as I told you I expected it to be,” was the comment of Sheridan who is aiming for his 15th win in the competition. Being the holders, Sheridan and Carroll are, naturally, the top seeds while Kennedy and Browne are seeded Number Two, as expected. They were no less impressive in reaching the semi-finals as they sent Tipperary opponents Paul Mullins and Edward Farrell spinning out of the championship on 21-8, 21-2 tickets. However, as the leading pairs have totted up big wins there are other challengers left in the tournament who have proved they will not be steam rolled over. 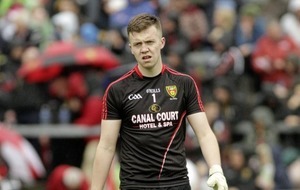 Case hardened Mayo men Joe McCann and former Roscommon footballer Dessie Keegan blitzed Cavan hopefuls James Brady and Patrick Clerkin, winning their first quarter-final one-sided battle 21-1 and was little less effective in ending the Breffni men's interest in the championship 21-8, second time on court. The only close encounter was the battle between Wexford pair Gavin Buggy and David Kavanagh and Limerick's Paudi Quish and Paul Hedderman which went to three games. The first was won by the Wexford representatives at 16 but Quish and Hedderman hit back to level the argument with a 21-12 success. However, Buggy and Kavanagh upped their game to reach the quarter-finals with a 21-10 victory in the play-off. Kilkenny's Ciarán Neary and Nicholas Anthony got a bye into the semi-finals as their opponents, David Maloney and Daniel Hayes withdrew from the fixture.